Sharing my passions for technology. 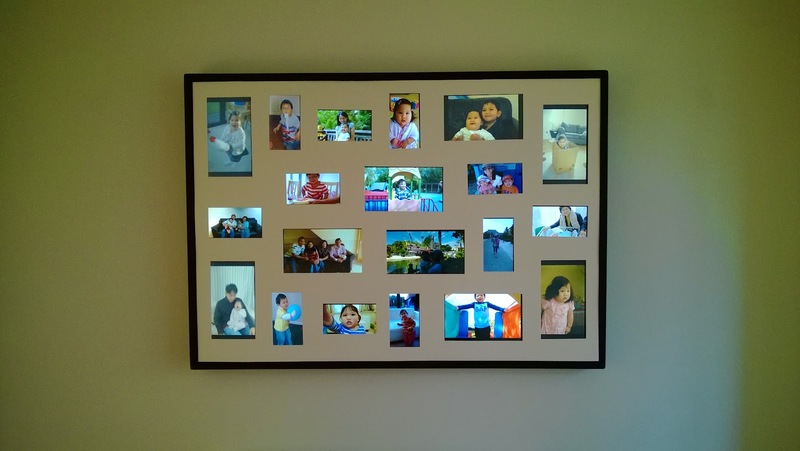 Having taking many photos of my family, I've bought a large photo frame that has multiple cut outs which lets me put on some of the photos on the wall. These photo frames have always taken a lot of effort to update as I've got to get the photos printed and then take the frame down to change the photos etc. meaning this doesn't happen very often (or ever...). So I've had this idea for a while where you could get multiple displays mounted on a frame and set the displays to do a slideshow. At first I thought about these digital photo frames however they're weren't that cheap and the resolution are terrible, plus updating them with new photos would take some effort in getting the SD cards updated with new sets of photos so I put this idea to bed for a while. Below are some of the steps that I went through in the hope that if someone is keen enough to want to attempt something similar they will get some tips from this.